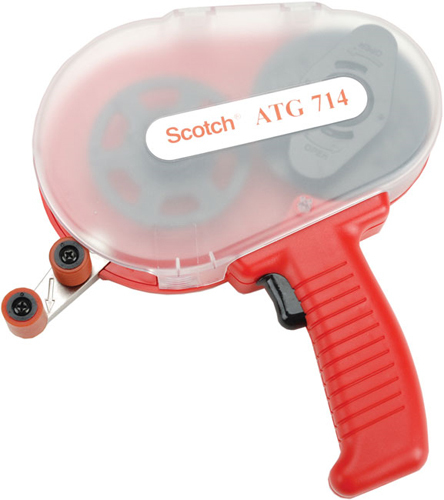 Many of you scrappers are already the proud owners of the “Big Red” ATG adhesive gun, right? I’ve been hearing talk of these honkin’ big thangs for at least a couple of years now. 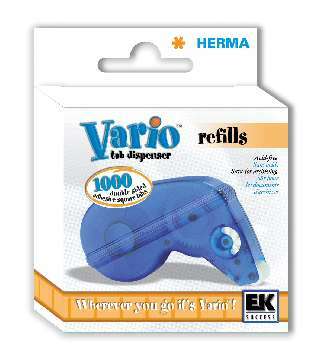 I never bought one because for one, they were too expensive ($60-ish plus shipping) and two, I was happy with my longtime adhesive (Herma Vario tabs) which I could get at MICHAELS using a 40% off coupon whenever I ran out. However, I’ve always heard how cool the red ATG was and that if you use one, you’ll want one. Fast forward to Summer 2010, and 3M/Scotch came out with a sleeker version of the ATG … and it’s PINK! Apparently, the original red ATG was made back in the day for art and photo framers (do I have that right?) so the fact that it was bulky didn’t really matter. However, once scrappers got wind of this amazing adhesive tool, there was a need for a smaller, easier to handle version. I first heard about it on the message boards, of course, in posts like THIS and THIS and THIS. 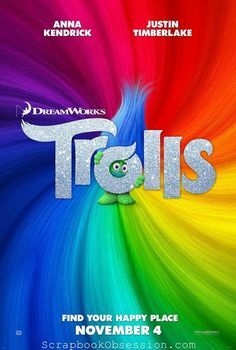 Check this out: If you do a Search for the last 3 months on the General Scrappin’ forum at 2peas, you get over 40 threads mentioning “ATG” in the title. Amazing! Talk about a Frenzy Item! Through all this talk, I never intended to buy one. Well, not really. I mean, I considered it then talked myself back out of it. Once I heard it was going to be a Michaels, though, and you could use a coupon on it, I decided to give it a try … IF I could find one, that is. Apparently, each Michaels only got 2 pink ATGs to start with. If it’s popular, they’ll carry more. So I was prepared to have to go all Kung Fu Panda on someone if need be, to get 1 of the 2 pink ATG’s at my Mike’s. I looked at one store with no luck. The hard part was not knowing where exactly TO look. 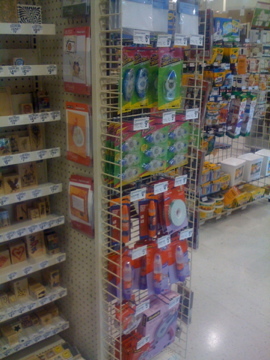 SB message boarders were reporting finding it in all different places within the store – in the scrapbooking section, on an endcap, with the general adhesives, on a center island rack, up by the cash registers, etc. As usual, most Michaels’ employees had NO idea what customers were talking about when they asked after it. I did use my 40% off coupon which made it a mere $21 to purchase. I debated buying extra rolls of adhesive at the same time but they were $10. I decided to wait and use a future coupon to buy a refill. From what I hear, it takes quite a while to burn through a role of ATG adhesive (one of the other selling points … it’s cost effective for your adhesive budget). The only thing I’m afraid of is, in typical Michaels fashion, once they realize how popular and “coupon-worthy” ATGs and refill rolls are, they will outlaw coupons for them. Mark my words. 3M partners with Susan G. Komen for the Cure for special promotion – in pink! St. Paul, Minn. – July 22, 2010 –3M announces the new Scotch® Advanced Tape Glider in pink for the serious crafter, featuring the quality and value of Scotch, the brand on which crafters, scrapbookers, and millions of consumers around the world have come to rely. 3M is also very pleased to announce a special partnership with an extraordinary organization –Susan G. Komen for the Cure®. For every Scotch glider purchased through July of 2011, 3M will donate $1.20 to Susan G. Komen for the Cure, with a minimum donation of $25,000. The donation will help fund life-saving breast cancer research and community outreach projects. 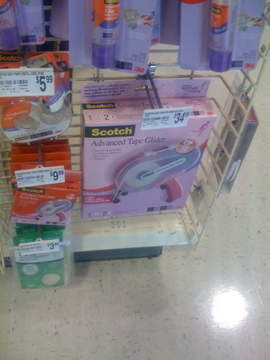 Crafters will easily spot the pink Scotch glider and packaging at their favorite supply stores. With the touch of a finger, the new Scotch advanced tape glider from 3M applies a neat, accurate, and consistent line of adhesive for clean and professional-looking results. Applications include scrapbooking, card-making, invitations, school projects, package wrapping, and many, many more. 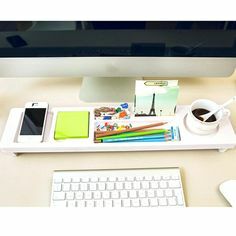 Easy to use and refill, its uses are as unlimited as the user’s imagination. For a limited time, the Scotch advanced tape glider comes packaged with two 108-foot-long rolls of ¼”, premium performance acid-free tape. Refills are available in two-packs of either acid-free or general purpose tape. The new larger glider holds up to 3 times more tape than traditional tape applicators, and the longer rolls mean fewer refills, resulting in greater convenience and value per foot. In support of its launch, the Scotch glider will be prominently featured at the Craft & Hobby Association Summer Convention and Trade Show at the end of July. The Advanced Tape Glider from 3M is available now. Call 800-328-6276 to locate a supplier, for pricing or other information. Do you have either version of the ATG? Do you plan to get one? If you have a red or pink ATG, what’s the best thing about it? Memory Works: Taking Pre-Orders on the New Simple Stories Kit “ele.ment.ary”	The Slice at Tuesday Morning … and a Chance to Win One! I have the red ATG, it was a wonderful birthday present from a dear friend. I love it to pieces and don’t even mind it’s redness or bulkyness. Rachel ~ So glad to hear that you love your red ATG! I have a big red also. Then I ordered a pink one from a store online. it came and can’t hardly open it. MY husband got it open but then it would not close. so I have to send it back. the store owner said that the pink ones all open really hard. I wish I did not spend the money on a pink one. I wanted to leave it at my daughters house so I would have one there too. The money I paid for postage was enough to buy a nice new big punch. NUTS!!! Plus ladies just go to a framing store and get your tape refills. Order by the case and it’s even cheaper. Lucky you!! I went to my M’s to get one of the pink ATGs, and both were sold! I did get a pack of refills with my coupon, though. I already have a red ATG and love it- I just wanted a second one to put non acid free tape in for making cards and other projects. From what I’ve read on 2Peas, the only difference between the pink and red guns (besides the color) is that some of the internals of the pink gun are plastic instead of metal. I think that they’re both the same size, but both are smaller than the ATG 700 (the yellow gun) which takes either 1/2″ or 1/4″ adhesive rolls. I read on one of the threads you linked that there are also purple and green versions coming out?!?!?! I so want a green one!! Melissa ~ I’m with you! I would love green even more than pink. Maybe by the time the green one comes out, I can think of a reason to need a second gun, LOL! Hi Erica! The lack of repositionability (is that a word??) was my biggest holdback, too. Sometimes I like to move something after I’ve attached it, and sometimes things are crooked and MUST be fixed, LOL! What I’ve found so far in using the pink ATG is that I’m able to pick things up and move them if I do it quickly! In some cases, a titch of the cardstock or paper comes up with the tape but so far it’s been okay, and not too much of a problem. If they would only come up with repositionable adhesive rolls. As a scrapper it would be so much easier. Maybe someone will tell them at Scotch. I LOVE my ATG gun. There’s no doubt about it. I love how smooth it glides, that my pages don’t fall apart anymore, that I can stick down paper/ribbon/chipboard/flock, 3M’s fab customer service, and that I feel like one of Charlie’s Angels of Scrapbooking when I hold it. The thing I love most about it…the thing I actually came to realize after reading this post…is that it brought me to one of my best friends. When the frenzy over the gun first started, the options for buying it were slimmer than now. I heard about a new online store with a fabulous message board that sold the gun and the tape. I mosied on over to see what it was all about. For my birthday that year, I saved my money and placed a scrappy order of supplies and the ATG gun. After much waiting, it arrived. AND….I hated it. I didn’t know what I was doing and had a difficult time with it. I expected magic and all I got was frustrated. I didn’t give up b/c I had spent an arm and a leg on that stinkin’ gun, and I got used to it and never looked back. Some friendly ladies on the store’s message board helped me out and gave me advice on what I was doing wrong, and I suddenly became part of the community. I don’t remember how exactly that I started chatting with one sweet person, but it happened. I couldn’t ask for a better scrappy friend than you, Erika. You are an amazing person. Sooooooo…..that’s what I think about the wonderful ATG gun (even though I want mine to be pink). Okay, Abby, I think I finally stopped crying so I can respond now, LOL! What a lovely comment you left for me! I didn’t realize after all this time that an ATG search is what brought you to AMR, where we met. See, now I love ATGs even more! Everything you said about our friendship … well, right back atcha! You’re an amazing friend in all ways and such a talented scrapper, I’m honored to know you. The only thing I’ll disagree with is where you said you know your layouts are bad if I don’t say anything about them. Say WHAT?? I’ve never seen a bad layout by you so if I’ve failed to comment on certain ones, please forgive me :) It must’ve been lack of time, being distracted (ooh, look, shiny object over there! ), or some oversight … but I can guarantee it wasn’t that a layout was bad, k? 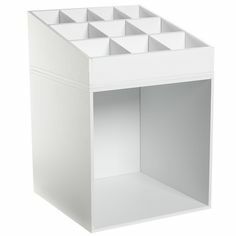 $19.99 at Michael’s today Sunday Apr. 3, 2011 only! Saw your note on the pink ATG at Mikes! 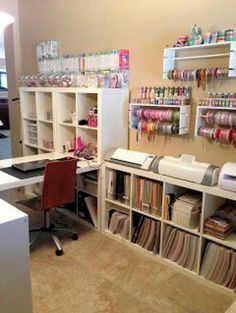 I have the large yellow bulky one – 1/2″ tape – love it, like the red one, you can “almost scrap forever” as the tape last a long time and you’re not running out! 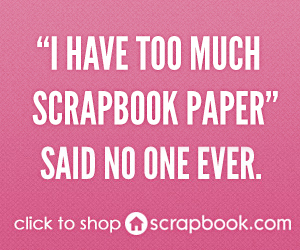 I like to use my ATG on my scrapbooking swaps to stay cost effective too. Fast forward! was at Mike’s last night and didn’t see it while I was there, I called and they “never” heard of it! Called two others close to me and one had it – in the back room! They had just received their shipment and she asked me if “I really needed it”! I said, Please and she told me she would take one out of the box and hold it for me! Printed my 40% coupon and got to the store 10 minutes before they closed! So glad I could get it at a very affordable price! Thank you for posting you saw it at Mikes! Go Sarah Go! So glad you were able to find the pink ATG. Good to hear a positive Mike’s story, too. I just picked this up last week at M’s. I was lucky and able to get the ATG and two refills. I’m quite enjoying it. I don’t think I would want to pack it to a crop, and there is a bit of a learning curve (to avoid “goobers”), but it is way cheaper per inch than my previous adhesive, so I’m calling it a win. Hi Christina ~ Yep, the glue goobers have been my biggest issue, too. I think I’m slowly getting the hang of it, though. We’ll be experts in no time! Thank you so much for this post!! :) I was just about to break down and pay an exorbitant amount for the original and then I read your post. I took myself right over to my local Mike’s and much to my chagrin they were both gone but the sweetest man who works there (and actually knew what I was talking about – which is rare for a Mike’s) checked the inventory at another store and told me they had 2!! Needless to say I ran over there and got mine with a 50% off coupon – CHA-CHING! Thank you so much again!!! I love ur blog!!!! Hi Lils ~ So glad you read here before purchasing a more expensive ATG. Woot woot! And another positive Mike’s story … awesome. Enjoy! Thanks for the heads-up at M’s. I went to 4 M’s yesterday and finally found one at the 4th one, it was on an end near the general adhesive. The workers knew what I was talking about and commented on how they had to locate, hard for people to find. Thanks again! Hi Karen ~ The thrill of the hunt and the satisfaction of the find! Good for you. Let us know how you like it. I have the big red whopper — I love it — although it took a little while to get the hang of the trigger action. I still have problems with it sometimes — solely an operator issue! The adhesive goes a long way! Based on your blog I rushed right out to my “big” Michaels with the large scrapbooking section, armed with my 40% off coupon. I found several endcaps where I thought the ATGs would be – one was all 3M adhesive and the other was all “pink” stuff (in partnership with Komen, for example there was a pair of Fiskars scissors, totally cute!) but no ATG. When I asked someone about the ATG they looked at me like I was speaking a foreign language. On a whim, I called my next closest Michaels, a very small, dingy, messy store. The person I spoke to over the phone knew exactly what I was talking about, went and checked on it, found it, and held it for me until the next morning! 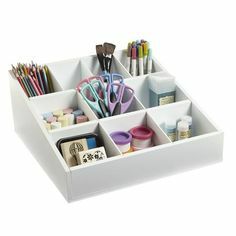 I learned a real lesson about discounting that “little, old” Michaels! I just picked it up this morning! I can’t wait for a chance to open and play around with it! Sadly, this probably won’t happen until my kids go back to school on August 23rd! Thanks for listening to my story, and for keeping us all informed! Hi Marian! So good to hear from you. Loved your story and it’s so funny because a similar thing happened to me. Two weekends ago, I was at the “big city,” nicer Mike’s and they didn’t have the pink ATG, to my surprise. Last weekend, I checked the Mike’s closer to home and there it was! Glad we both found one :) Hope August 23 arrives soon for you! List price was $34.99…with my 50% off…I gave $18 (including two refills). What a deal. AND I LOVE IT!!! Working on a wedding shower banner so gave my new baby a workout. Took a couple of times getting use to NOT lifting up when taping. You should release triger then keep moving toward yourself just like you were still taping. (Search youtube for great instructions). Several folks have mentioned the size of the gun being an issue. I have small hands and I do not find the size of the gun to be an issue. As a matter of fact….I found it very user friendly!! Our local Michaels (Chicago suburbs) stores were out of their two each, but now they are restocked. Alas, price has gone up to $39.99 now. But, that is still $24.00 if you use a 40% off coupon. I work Mike’s for my fun/part-time job. I’m taking a bit of offense to the posts where Mike’s employees don’t know what you are talking about. Obviously you have never met me in the store you shop nor my co-workers who know to pass these questions off to me anyhow and listen and learn from my answers. Enough said, just don’t count us all out! Back to the ATG! Columbus Day and a 50% coupon burning a hole in my pocket when a customer brings the ATG through my line and tells me all the reasons I should get it with my coupon. Out on the floor for recovery and I put the last one in my cart and carry it around for the rest of the night only to finally break down and buy it in the end. I’m a little worried out tape being permanent as I have a tendency to put things down crooked at times. I hope this will not detract me from loving my little (ok so it’s still not little) pink gun! Any tips I should be aware of as a newbie? Glad I found your site! I think ths post has convinced me that I do indeed need a pink ATG – I had been on the fence but this pushed me over!! Thanks for the information, can’t wait to get into Michaels to look for it as I already have a 50% off coupon, waiting to be used!! Thanks for the information, I was going to buy this dispenser from an online site for $39.00. However after reading your suggestion on Michaels with coupon, I visited Michael site and found a coupon for 50% today! YAY! I love pink and I love supporting any form of cancer. As a customer invitation designer I use tape all day layering invitations, so I look forward to more tape and less refilling. Does anyone know if this can be altered to accept the 1/2″ tape? I just got a pink /ATG at Mikes’ today for $19.99! But not sure if I want it, I cannot get it to open to load it…I dont’ want to break it and have watched the online video, but still cannot get it to open, think I will take it back to the store and see if anyone can help me, if not I will be retruning it! I have heard and now read about the problems with the opening and closing of the pink ATG Gun I would try looking at http://www.tapesolutions.com. They sell the dispensers and refills at wholesale prices. What makes them even better is that they are there to answer questions and stand behind the products they sell. They will even send you ATG Tape samples so you can try the adhesive first! Give them a try!